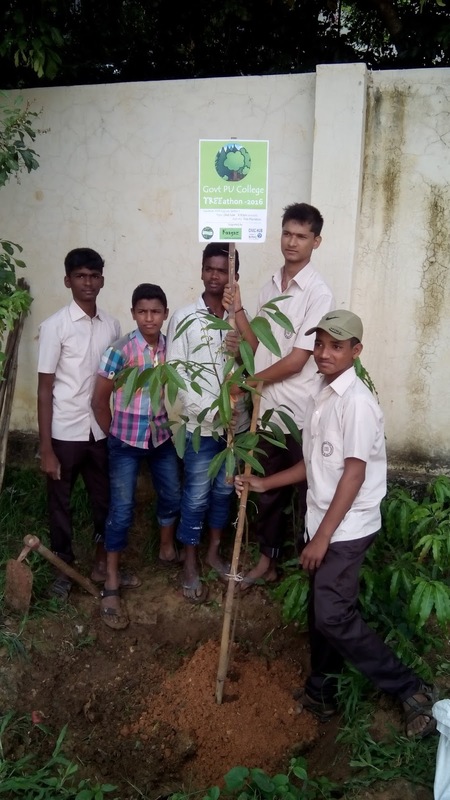 HaSiRu Mithra #TREEathon supported by Kaagaz Foundation & Civic Hub (a BPAC initiative) continued. 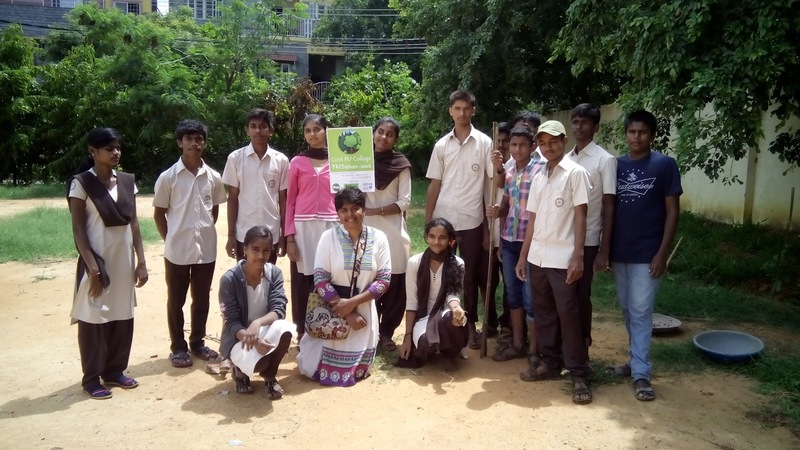 Based on the inputs by Sector 1 RWA, HaSiRu Mithra members met up with Govt Pre-University college Principal and identified opportunity to plant over 30 saplings. 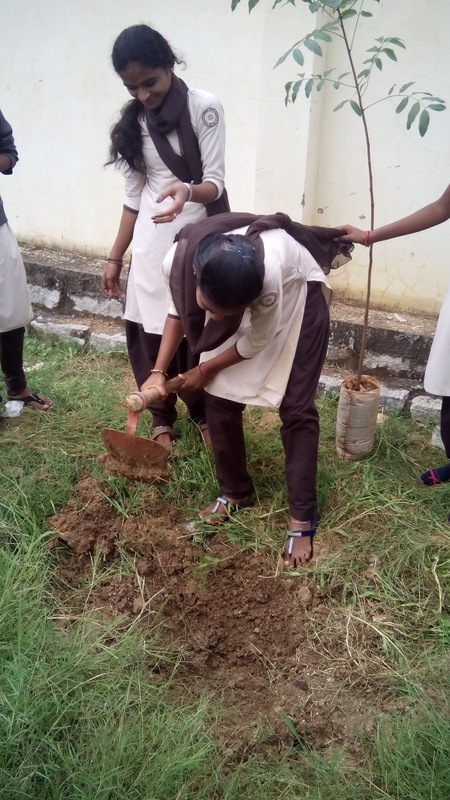 College students who are also part of College NSS, lead by Principal Mr Venugopal and supported by the Teaching staff had kept over 30 pits ready for planting of the saplings. The students has meticulously dug the pits maintaining proper distance between each pit and in a neat row. With much enthusiasm the students planted all the 30 saplings consisting of Honge, Tori Matti, Mahogany, Indian Badam. The saplings provided by Kaagaz Foundation are over 2-3 years there by the survival rate of the saplings is much higher. Students also took an oath to maintain the saplings, nurture them and take care of them till they are on their own. 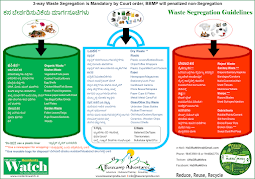 Re-enforce the commitment to environment, cleaner and greener surroundings among minds is very important, being environmental cognizant can lead to a more sustainable living. It was wonderful to see the level of involvement and participation by the students and one can hope that with constant focus on the environment and issues related to the environment the young minds will we more better equipped to address the issues more effectively.